As a student, I was required to send in my assignments in PDF files and I cringe every time it was too large to attach to an email. Not too long ago, I was introduced to a few free PDF compressors that are compatible with my Mac. I really wished that I knew about them back in my student years so I did not need to dash to my school every time I wanted to submit my work! Now, in this article, I will also tell you which free PDF compressor for Mac is worth a try. 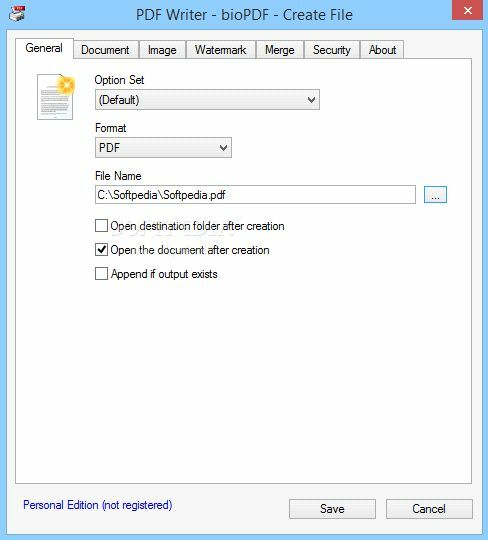 In order to compress PDF to reduce the size of your PDFs and maintain good quality, you can use PDFelement ProPDFelement Pro . 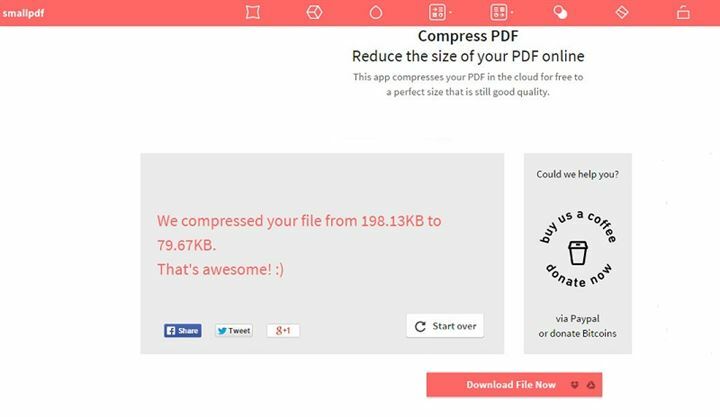 With the help of this PDF Compressor, you can compress the PDF document to the size you needed. The quality is maintained, and you can add as many pages you want. Reduce the sieze of your PDF and maintain good quality. If you are not keen on installing an open source software on your Mac, there are plenty of online solutions that you can use to compress your PDF files. One of the easiest to use is the one from SmallPDF and it does a great job reducing PDF files to 144dpi so that you can easily attach them in an email or uploaded online. The file compression process takes place in the cloud so you can be assured you can use other programs while trimming the size of the bloated PDF file. 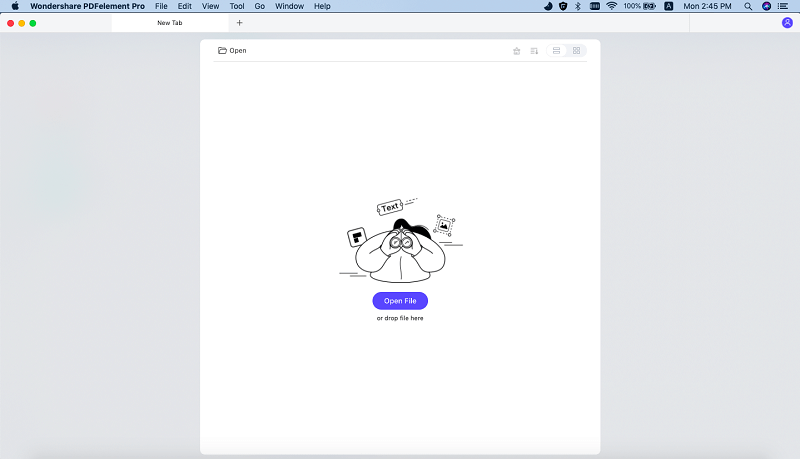 From Desktop: Drag and drop the PDF file that you want to compress in the dedicated box on the website. Alternatively, you can click on the ‘Choose file’ button to find the file on your computer. From Storage Cloud: If your file is on Google Drive or Dropbox, click on the respective icon on the ‘Choose file’ button. Follow the instructions (permission to access your account or signing in) to retrieve the said file. The compression will start automatically as soon as your file has been successfully uploaded. The compression time will vary according to your original file size. Once it is done, download the trimmed file. Depending on the settings you have on your browser, you may need to choose the storage destination for the file. If it is automatic, it is probably in your ‘Download’ folder. Not all of us are privileged to have internet connection all the time (though it is hard to believe that one is not connected all the time). Alternatively, you can download a free software like PDFwriter for Mac to help you shrink PDF on Mac. Although it is traditionally used to "print" non-PDF documents to PDF, you can still use it to help you reduce the size of large PDF files. Open your PDF file and then Click "Print" and select "PDFwriter for Mac" from the printer list. Click on the "Properties" button and click the "Advanced…" button thereafter. Change the print quality to 144dpi or lower. Click on "OK" to close the windows. Once "Print" is clicked, the "Save As" window will pop up. Choose the destination and click "Save". This method reduces the images in your PDF files. Although the compressed images look similar to the original ones onscreen, they are obviously in lower quality when printed out. Note: Make a copy of the original file to test this method on your document as this may cut the quality of your document. Double-click to open the PDF file. If it does not open in Preview, drag and drop the PDF file onto the Preview icon located on your Dock. Click "File" and then "Save As". 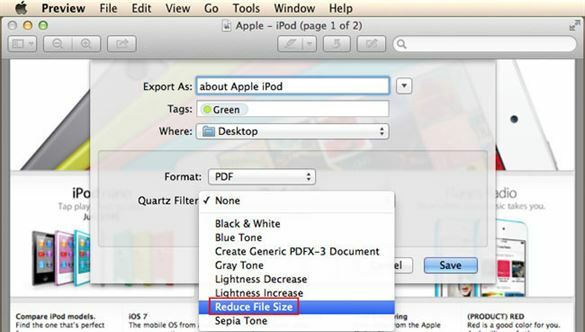 In the "Options" menu, select "Quartz Filter" and click the "Reduce File Size" option. Choose the storage destination for the dramatically reduced PDF file. Click "Save". When you buy your Mac, you will get a software that will allow you to compress your files in an archived ZIP file. This is a great option when you want to compress a few files into one archive file. Select the files that you want to compress. 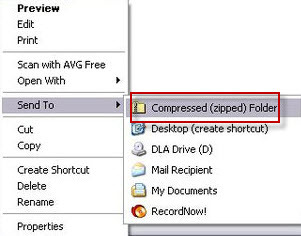 Left-click and select the "Send to" option and click on "Compressed (zipped) folder". The compressed file will be automatically saved in the same destination.